Anything related to dev. & that doesn't fit in below categories. 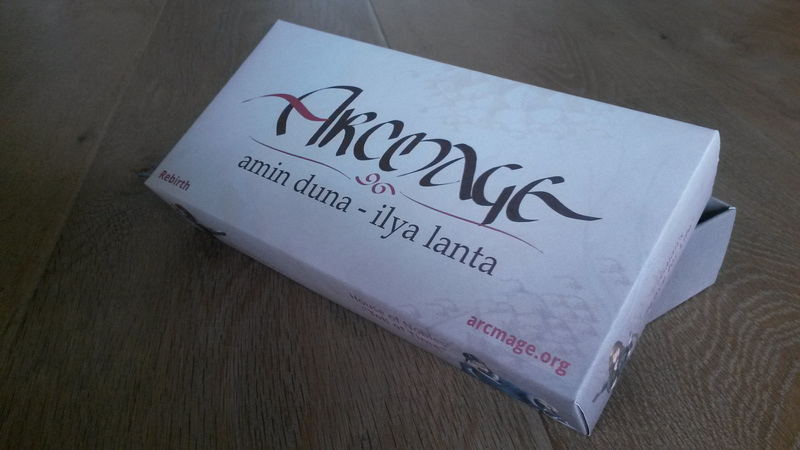 I attempted to design a new box with the new arcmage logo. 1. Thanks for your work. I think this is a big step towards where proprietary card games currently are. 2. I'm not entirely sure the purely white background is a good idea. While I like the design, I think the lack of even slight texturing might make this seem less „professional“(whatever that means). Some texture on the sides could be an improvement. Something I like about the white design is the lower cost for self-printers (though this is probably negligible). P.S. : http://subtlepatterns.com/ offers patterns under CC BY-SA 3.0 (some of them aren't really subtle ). 3. 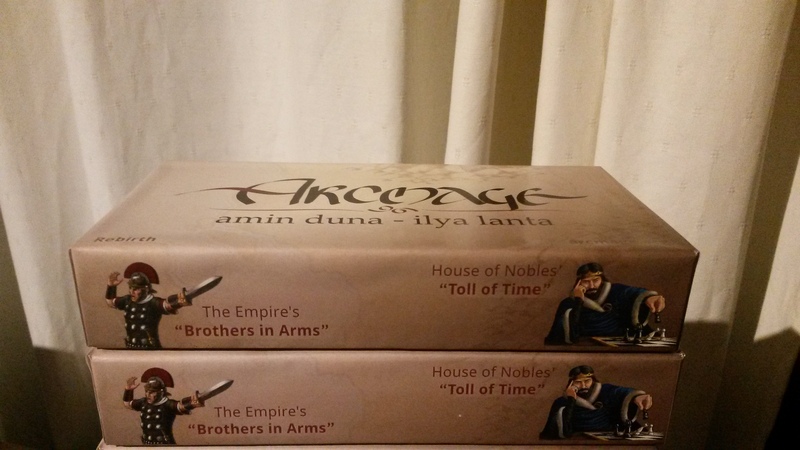 I think that only the decks contained in the box should be on the box. 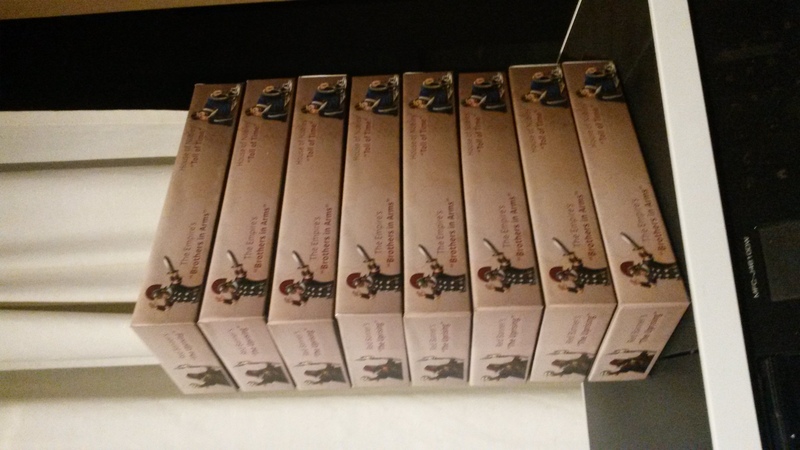 Otherwise it would leave a feeling of incompleteness if one only buys/prints one box. Additionally—though it's explained on the back—the star symbol is not intuitive and might confuse some people (including me, as I've viewed the box pdf last). 4. On the box, there is a typo in “professionally printed cards”. 6. There is some opposition to the use of ampersand “&” character as a general replacement for “and”. I have no personal opinion on this yet. I just want to point it out. 7. Why not use “these typographic quotes” instead of "these simple ones"? 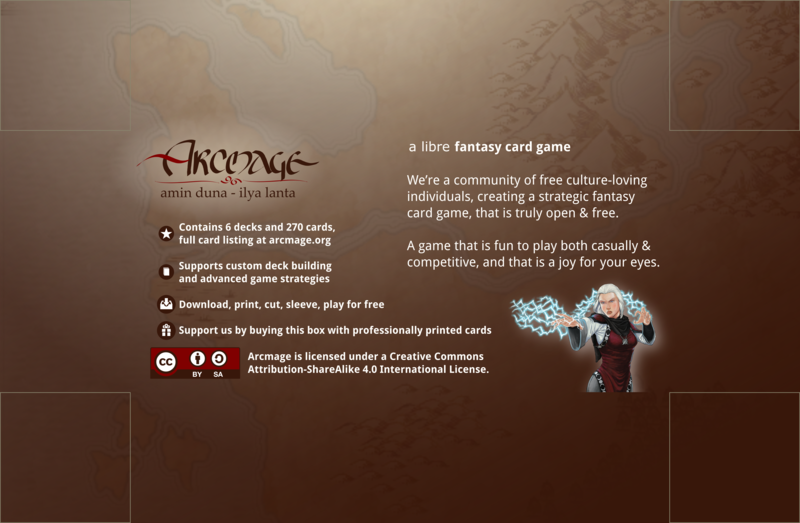 Also, personally I'd prefer “full card listing at arcmage.org“ to “full card list at arcmage.org“. 8. Is there a style guide on font/color choice yet? 9. I think there needs to be license information on the box. 10. Again, thanks for your work. That's all I could think of for now. First things first, this was a first attempt, so lot's of improvements possible. 1. 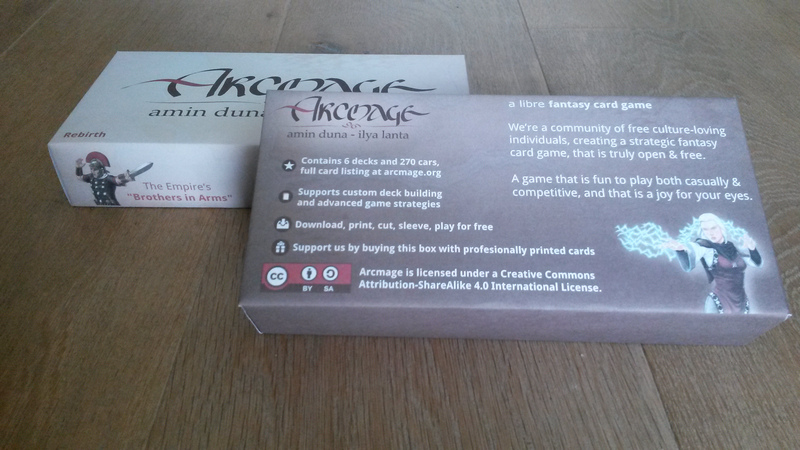 We're not trying to move towards proprietary card games, but a box would make it more attractive I guess. 2. The background isn't entirely white, it has a bit of yellow / oker, but you're correct, there's no texture. I wanted it rather sec/clear to stand you against the many dark-themed games. I was hoping to get some real 3D texture on the sheets themselves. 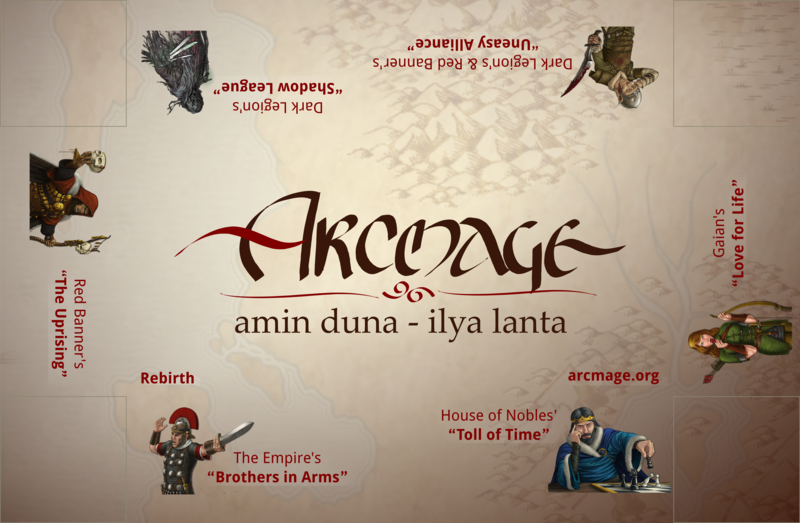 I guess I could add some texture to the design, like the westnoth map we've used in the new card back (see other thread). 3. 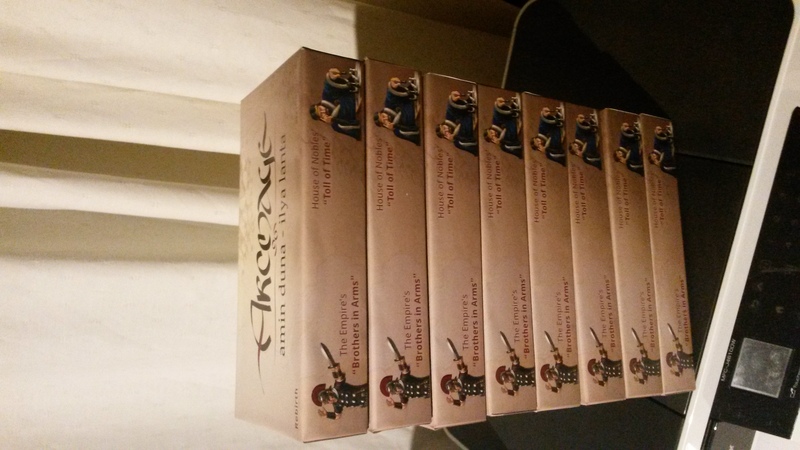 You're entirely right, when I started the design, I wanted to get all 6 of the decks in the box, but I made a mistake on the physical size , so it could only fit three, and I didn't have time to redo it. So I just kept the design and added the star to indicate what's inside. A bit confusing, I know. That said, I do like the current form-factor for the smaller boxes, they are handy handy. 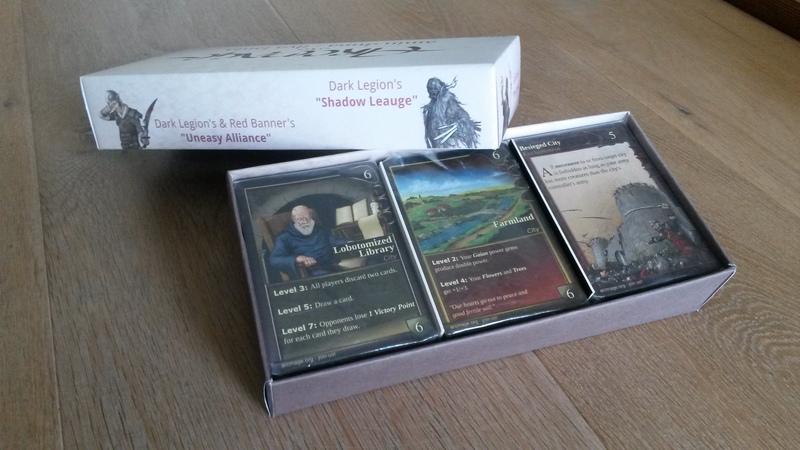 Also, for entry level players a three deck box would lower the price (by factor 2). or that you can at least see the full card list online. 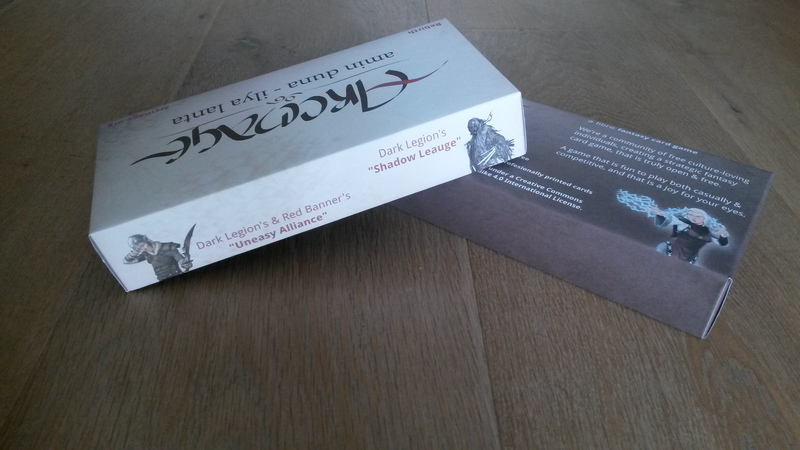 -> Our current play-test cards are sold against production price, and that's what I'd like to keep. 4. Thanks for the spelling tip. In that regard, maybe you're willing to do some editorial work as well? We've got Pistos doing an awesome job editing the cards, and clearing out my gibberish English. But I'm sure he would welcome some help. Currently 'Uneasy Alliance', 'Gaian Love for Life' and 'The Uprsing' have been edited. The other three still need a lot of work. 5. Yep, will change that. 7. Good idea, I'm not sure if the droid-fonts support them. I could use an other font for the quotes if need be. 8. For the cards themselves, the style and fonts are entirely inside our card-generation templates. For the box there's none. I used droid, as it looks clean and sec. 9. Yeah, maybe, we have the artwork lic, and the game lic itself. Does it add value to the box to have that information there? At least we'll create a booklet or something with additional information, including the lics. Good to see my feedback is appreciated. 1. What I meant was a step towards comparability in terms of material available, not a step towards being more proprietary. I could have worded that better. By the way, there are companies that sell boxed versions of libre/open office in stores. I don't see why this wouldn't work for Arcmage/WTactics too. 4. I want to give my feedback about the rules soon, but if I find the time I could try to work on those decks. 9. I think the license info and attribution for the box/lid artwork should be on the outside, because if it were shrink wrapped (or similiar) it would be impossible to determine the license without having to open the box. 10. That would be great! I found some time to create a second design, for a custom made box. It measures 203x100x35mm (bxdxh) and can contain all six decks. They are three decks next to each other, whit a second level of three decks on top. I' ve included as much as the feedback you provided. 2. There's now texture in the box and lid using the same style as the new cards back. 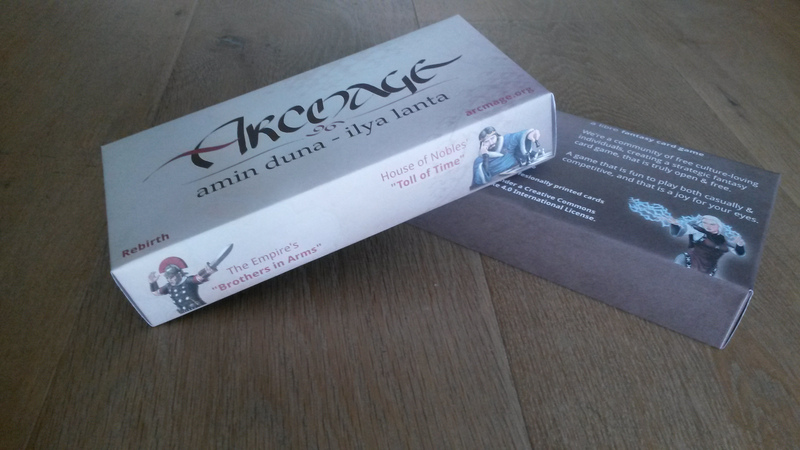 The lid is lighter than the cards back, because it must contrast with the text. 5. Kept as is, don't think it is confusing, and your suggestion doesn't sound that nice. 8. Font and colors are set by our card generation db (for the cards). I went with droid sans for the box. Here's the next end result. and a pack of 1.250 mm pass-par-tout A3 carton boards (hard carton, coated with black paper on one side, white paper on the other side). Since I made sure both box and lid fit into one A4 each, I could use one carton board to cut both. I cut on the white side, so the inside of the box is black. If you try it yourself, make sure the lid is 4 mm wider then the box. Finally I printed the sheets, cut and wrapped them around the box and lid. The end result is great. but on self sticking paper. As soon as I have a working printer again, I want to try printing it myself. Have you tried laminating the box yet? No I wont be laminating it, but I'll get them printed professionally. I'm hoping to see some samples before deciding on the finishing (they can laminate using different foils). They can also add a glue layer, I'm hoping it's strong enough to have a tight wrapping. The A4 paper sticker wrappers approach work well. the print quality is the same. The production cost of a box is 3.01 euro (the board + 2 wrappers) (tax included). This looks so awesome!! Oh my gosh I'm excited to play this.